Big things are coming for Vive users. HTC has unveiled plans to continue improving the immersion factor of its various products, like the Vive Focus and those utilizing the Vive Wave platform with the introduction of the 6DOF Developer Kit. Studios can now apply for the Vive Wave Full 6DOF Controller Dev Kit, which comes with a tracking attachment, software, and most importantly two 6DOF controllers to use it all with. 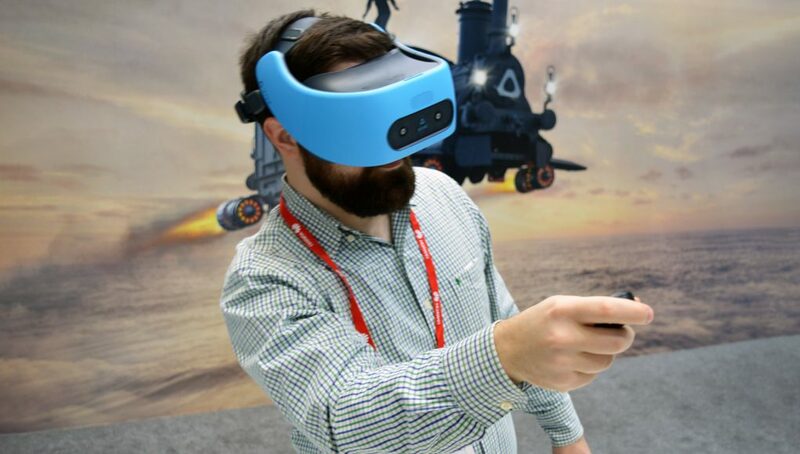 It will allow for a similar control scheme to the HTC Vive on its own without the same sensors thanks to the tracking attachment, but there aren't a lot of details regarding how the new system will bring it all together. “Today, we are taking the spatial computing industry to yet another level as we announce the availability of the full 6DoF developer kit for the Vive Wave open ecosystem, and a host of new 6DoF content and technologies to more easily bring users into fully immersive virtual worlds," announced Alvin Wang Graylin, HTC China President. There are several immersive experiences meant to debut on Vive, such s The Vive Studo film 7 Miracles, a feature-length VR film that recreates the seven miracles performed by Jesus Christ, The App, a large virtual space meant for multiple users to explore together, a spatial art experience that takes the painting Along the River During the Qingming Festival and several other installations. HTC Vive has also announced the soft opening of its first Vive Flagship Store, located at the Consumer Electronics Exchange/Exhibition Center (CEEC) in Shenzhen. It will offer a VR arcade experience as well as retail and service options. It's an exciting time for Vive users, especially with 6DOF on its way.